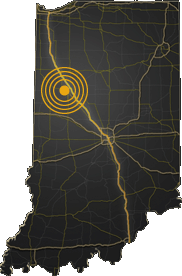 Purdue Research Park of West Lafayette (download our brochure), which is located just north of Purdue University's main campus, is home to the largest cluster (100+) of technology-based companies in the state. As the state's first designated certified technology park, this research park and its business acceleration model have received state and national recognition. The 725-acre park boasts more than 50 buildings; more than 3,200 employees; 327,000 square feet of business incubation space; and an average wage for startup companies in excess of $63K. The newest phase of the park is a result of a partnership between Purdue University, Purdue Research Foundation and the City of West Lafayette. Lots can be purchased or leased by eligible firms. All companies within the park benefit from an array of complimentary or low-cost professional services. A child care facility (including infant care), a state-of-the-art fitness center and the PRF DataStation complete the package. Home to Purdue University, West Lafayette was ranked one of the "smartest" (most-educated) small cities in the country by Forbes in 2009. Purdue's influence can be felt throughout the community — from culture and Big Ten sports to innovation and pioneering research. Students from 130 countries add a unique perspective. West Lafayette High School named best in Indiana by BusinessWeek (2009) and one of the top high schools in the nation by U.S. News and World Report (2008).